All we have ever had an addiction for some online game, especially now that there are so many web pages that you can be stuck all day. One is Slot.com and offers slot games acclimated with various themes that allow your gamer side go out to recreate freely, since, in addition, games are completely free. The game we want to talk about is Funny Fruits, which with its bright colors and funny fruit figures seems impossible to stop playing. Bq recently launched a new model of the family Aquaris, specifically the bq Aquaris 3.5. Thus becomes the third terminal of the family and will be the smaller and less powerful of all. The bq Aquaris 3.5 has an IPS screen of 3.5 inches, as its name suggests. The resolution reaches the 480 × 320 pixels (160 dpi). ASUS come again to present another hybrid between tablet and ultrabook, the ASUS Transformer Book T100. It’s a convertible with Windows 8.1 and it will released with a very competitive price. 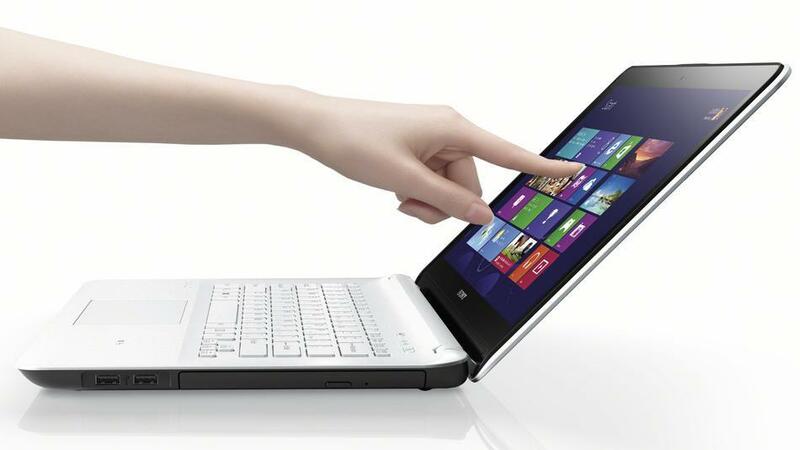 The ASUS Transformer Book T100 has a screen of 10.1 inches which has a resolution of 1366 x 768 pixels. Recently Sony presented its new portable Fit, announcing them as middle range, is not known yet why, given that its features and its price are a high-end, more powerful and you can enjoy outstanding options. They feature Triluminos technology and Multi-flip to be able to convert them into tablets without effort. These new laptops equipped with Windows 8 offer in a single device up to 3 different modes of use: laptop, tablet and “Viewer”. We have good news for Nokia Lumia enthusiasts. Nokia has recently confirmed that the terminal Nokia Lumia 1020 will come to Spain in October with the operator Movistar. The Nokia Lumia 1020 will be available with the blue operator in just 1 month. Specifically Movistar has exclusively the model of 64 GB in yellow, black and white. We have already spoken on other occasions about the strong expansion that is suffering the world of casino games and poker in the last years. While many people still see it as an activity somewhat strange and dangerous, it has nothing to do with what in the past you could see at any bar in your city. Known games of roulette, slots, blackjack or poker have evolved and they are now on the Internet, or as some people prefer to call it, “in the cloud”. Microsoft has decided to renew its range of tablets Surface and is just recently confirmed the date in which the second generation of tablets will be presented. The event will finally take place on September 23 and will be announced two new devices, which are the second generation of the Surface RT and Surface Pro. What is expected to see in the new devices? They will basically be something more powerful than the current Surface. In the case of the Surface Pro 2, is expected to carry a Intel Core Haswell processor (newer ones so far), possibly more RAM and some improvements in the battery life. The company already announced that the innovations that would be presented would cause impact and seems to be so. At least what they have just presented is very good for customers and supposed to give a heavy blow over the competition. The agreement between Yoigo and Movistar is already bearing fruit and we have the first news. Movistar will offer 4G connection for free to all customers who have contracted one of the modalities of Fusión, Movistar 20, Movistar Cero and Tarifa Total. iPhone 5S was also one of the most anticipated phones of the year and was presented this week. The new Apple phone comes to confirm many of the rumors that were already on the table and introduce some innovations that had not said yet. The new iPhone 5S has a 4-inch Retina Display screen and has a resolution of 1,136 x 640 pixels, which is 326 pixels per inch. It has an internal storage of 16, 32 or 64 GB depending on the model. Yesterday finally confirmed multiple rumors that Apple would lead to create a new plastic iPhone and more cheap than the current iPhone 5. So it has been, Apple has been presented the new iPhone 5C, a smartphone just as powerful as the iPhone 5, made of polycarbonate in multiple colors and a not so cheap price as expected. – Retina Display of 4 inches with resolution of 1136 x 640 pixels, giving a pixel density of 326 ppi.